Jo spots another perfect “Big Guy” for RoadsideWonders! 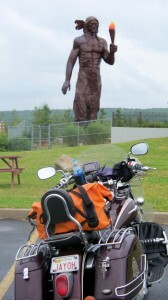 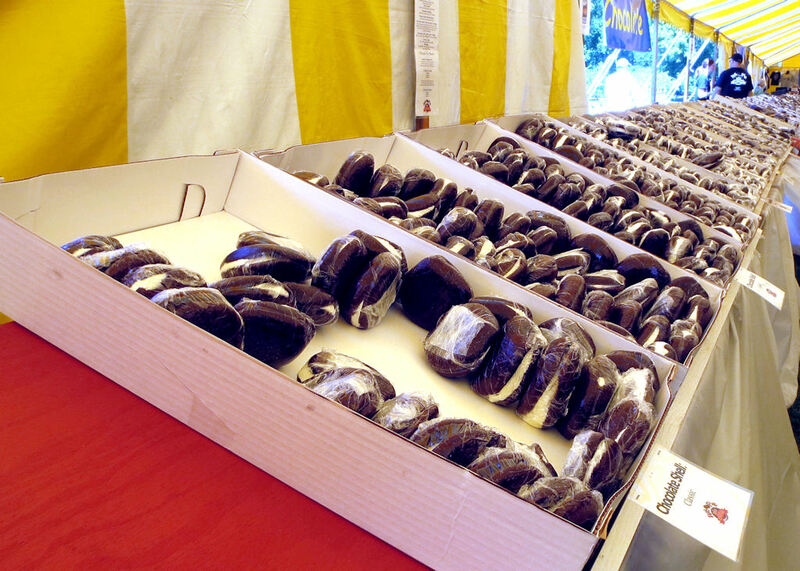 The Glooscap Heritage Centre website explains that: Kluscap (Glooscap) is an Abenaki word meaning “Man from nothing”. 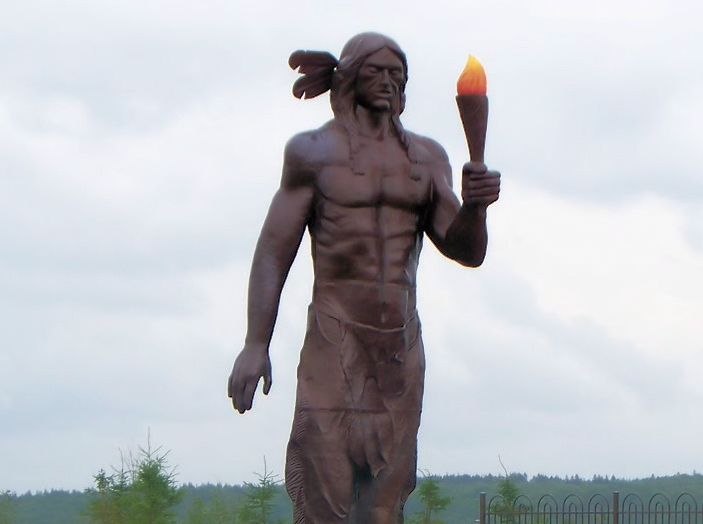 Glooscap, the first human, was created out of a bolt of lightening in the sand and remains a figure that appears in many of the Mi’kmaw legends.